Free cloud servers are now available in the public cloud, and it has caught the attention of companies that are interested in a cheap solution for use in the company. The use of these solutions as a foundation of the information technology system for enterprise needs to be discouraged. These cloud solutions are mainly designed to be used by public and will not adequately serve the needs of a company. Free cloud solutions are limited in their structure and are designed to ensure that the service provider maintains control of the solution at all times. This means that the person who is using the service will not have as much control as they might desire. This is a severe limitation to any company. Furthermore, free services are usually provided at the discretion of the service provider. This means that there is no guarantee that the service will always be available when the company needs it. Companies need to invest in the creation of dedicated cloud computing solutions for the enterprise section of the market. Dedicated solutions are designed to provide the exact services and the level of service delivery that the company needs. These are solutions that are designed with the target industry in mind. This means that the developers create these solutions to provide the specific set of computing resources that are needed in a particular industry. These paid solutions are more useful for companies are they guarantee the company a level of service that enables them to operate as they normally do. There are a number of benefits that most companies are unaware of which factors negatively in their decision making. The first of this is that these solutions are easier to integrate into the company’s already existing legacy systems. This means that the company will save a lot of time on implementation. Secondly, enterprise cloud solutions have a better track record in revolutionizing the infrastructure of companies that use them. This is because these solutions are designed with an understanding of the needs of the companies that are going to use them. Thirdly, when you pay for cloud solutions for use in an enterprise setting, you create a contract between the service provider and yourself. 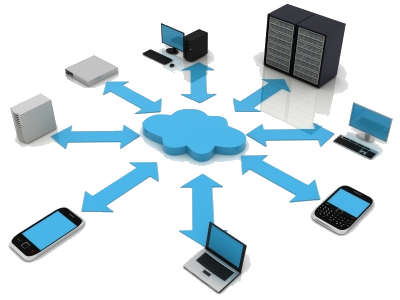 This means that you have recourse should the cloud computing solutions that you get not meet your expectations.